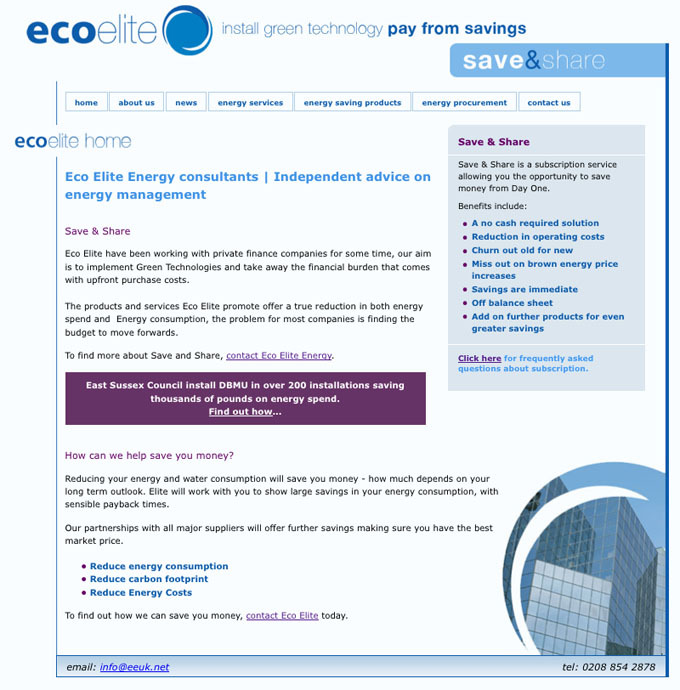 Energy brokers providing independent advice on energy management and savings. Website designed a few years ago to match the client's existing corporate identity at the time. This site is currently under review for a redesign to make it more modern and bring it up to date.